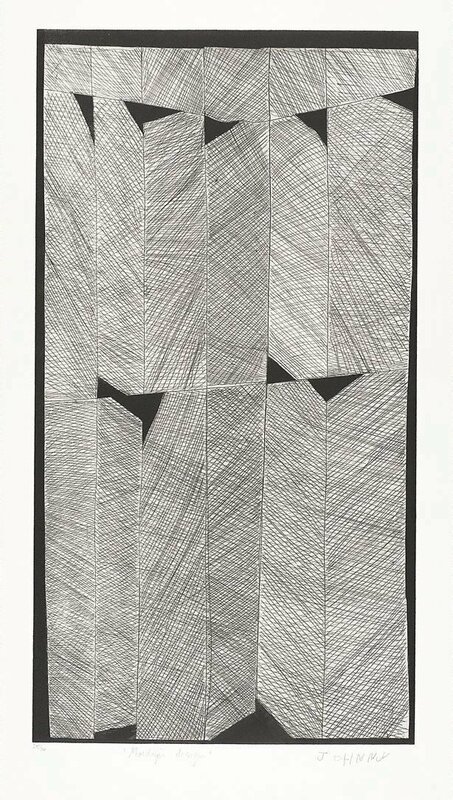 This work by Mawurndjul concerns a major patrimoeity ceremony of a secret and sacred nature called Mardayin. Much of the meaning of the iconography in the print is not in the domain of public knowledge and so it cannot be explained in detail here. The image refers to a site at Mumeka, which is an outstation in the artist's clan estate in the Mann River region. The Mardayin ceremony performance site is located on a large billabong covered in waterlillies. This place is about 50km south of Maningrida in Central North Arnhem Land.